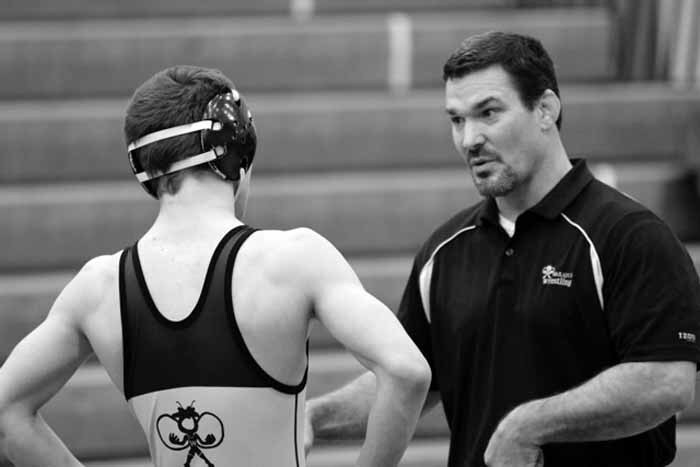 Wade Discher of Wasatch wrestling was the 2014-15 boys team coach of the year. Next on our list of awards, we are looking for input on our boys team coach of the year. We have narrowed our season-long watch list down to eight finalists, though you may also feel free to write someone in if you think we have missed the boat entirely. We are looking for the coach whose performance was most impressive. Does that mean the coach’s team must have won a state championship? Not necessarily, but each of our eight finalists did just that and it certainly adds to the resume. 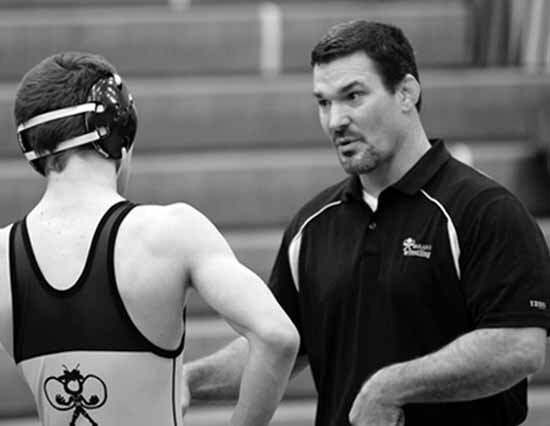 A year ago, Wasatch wrestling coach Wade Discher was our top boys team coach after leading his team to the 4A state wrestling championship. Matt Barnes, Olympus basketball – With a history of second-place finishes at the state tournament, Olympus boys basketball broke through this year, as Matt Barnes led the team to a 24-3 record and the school’s first state title in boys hoops. Mike Klauck, Maple Mountain soccer – Klauck built a team that dominated defensively and led Maple Mountain to the 4A state soccer title and a 19-1 overall record. George Murphy, Park City golf – For the eighth consecutive year, the Park City boys golf team won the state title, as Murphy led the way to yet another 3A state championship. Dustin Pearce, Herriman football – After losing 30-0 to Lone Peak to end the regular season, Pearce led Herriman to a huge upset over the previously unbeaten Knights in a rematch for the 5A state championship. It was an 11-3 overall record for the Mustangs and a state title. Scott Platz, Juan Diego Catholic soccer – Platz led the way for an undefeated season at Juan Diego as the Soaring Eagle claimed the 3A state soccer championship. Jake Schroeder, Bingham basketball – It was a season of great expectations and Jake Schroeder delivered, leading the Miners to the 5A state title to cap a 24-2 season that included just one loss to an in-state team. Robert Sperry, Timpview tennis – Boys tennis at Timpview had been one of the state’s dominant high school sports programs until the Thunderbirds dropped off a bit in 2013 and 2014. This year, Sperry and his team made it back-to-back championships in winning the program’s 18th title. Corbin Talley, Davis track and field & cross country – Talley is a two-time champion for this school year in boys sports as his boys track and field team put the finishing touches on a year that also featured a boys cross country state title. Eight great choices that we have attempted to rank on our end. Vote in the poll below and let us know which one you would pick as the top boys team coach of this past school year.